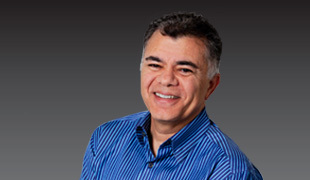 Reza is a serial entrepreneur and investor who joined InterWest's healthcare team in early 2012. As a successful ophthalmology and cardiology entrepreneur, he has a special interest in medical devices. In July 2016, Reza assumed the CEO role at IW portfolio company, Avedro, an industry-leading ophthalmology company. Reza was the founder, President and CEO of Visiogen (acquired by Abbott-Medical Optics), which developed an accommodating intraocular lens to treat cataracts and presbyopia. Earlier in his career, he cofounded PercuSurge (acquired by Medtronic), which pioneered the field of distal protection devices that provide treatment of occluded carotid arteries and saphenous vein grafts. InterWest was an early investor in PercuSurge. Immediately prior to joining InterWest, Reza was a Venture Partner at New Leaf Venture Partners. He was previously at Three Arch Partners working as Entrepreneur in Residence, where he founded Visiogen. Earlier in his career, he was with Cardiac Pathways (acquired by Boston Scientific), which markets mapping and ablation systems for the treatment of arrhythmia. Reza started his career at Raychem Corporation, now Tyco. Reza holds a Ph.D. from Ecole des Mines de Paris and has filed more than 100 U.S. patents. He is on the board of the non-InterWest company, Oraya Therapeutics. First US Service Members Treated with the Only FDA-Approved Cross-Linking Procedure in the U.S.